it s a good wireless modem with WEP encryption key, but BT decided to lock it so you can only use it with if your ISP is BT. I moved to talktalk, and had to buy the standard modem with the package. In their online order form only the basic Modem were appearing, so I bought it and thought to hack later on the BT voyager to access again the net wirelessly in the house. 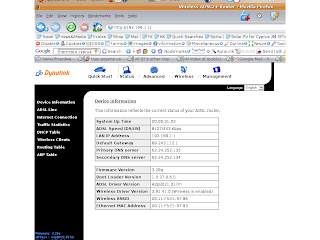 I managed to hack the modem by putting a new firmware that I found at the following address. the unlocked BT Voyager became Dynalink and I got my wireless back. After googleling about the BT router I found out that its platform is based on the Broadcom 6348. The platform of the Dynalink is based on a similar platform Broadcom 6345 hopefully the small difference would not affect too much my reborn unlocked router. 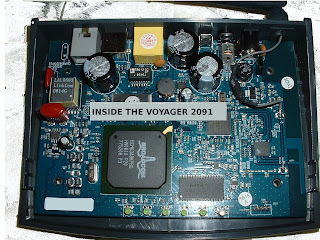 In case the links of the firmware download break, let me know so I email you the unlocked BT voyager 2091 firmware..
did you try the openWRT firmware?